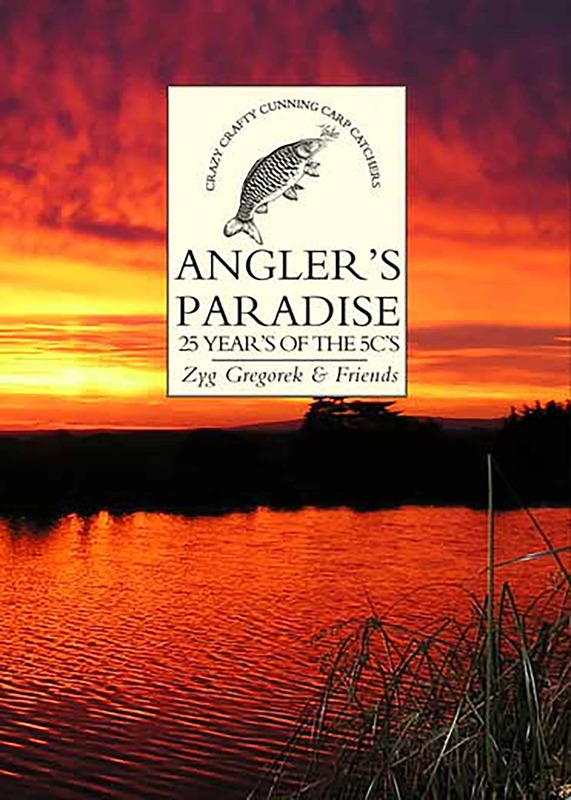 Angler’s Paradise is one of the best known fisheries in the UK, built and owned by the colourful character Zyg Gregorek. This book is a fantastic tribute to the lakes, fish, customs, friends, inhabitants and history of this very special place. Many great anglers have fished at Angler’s Paradise, which is reflected by the impressive contributions to this entertaining book. Fishers such as Rod Hutchinson, Peter Mohan, Keith Arthur, Bill and Virgina Rushmer, Bob Roberts, Des Taylor, Jason Cann, Len Gurd, Rob Maylin, Graeme Pullen, Julian Chidgey, Jim O’Donnell, Zyg and Zenia Gregorek, as well as many others. Angler’s Paradise is 150 pages long, 255 x 175mm in dimension. It is lavishly decorated with mono and colour photographs, and is richly illustrated throughout by Tom O’Reilly.